– He is from Daegu, South Korea. 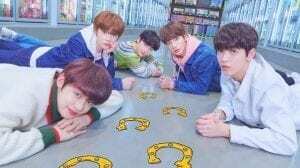 – Beomgyu was the 5th and last member to be revealed on January 20th, 2019. – His representative animal is a butterfly (Questioning Film). 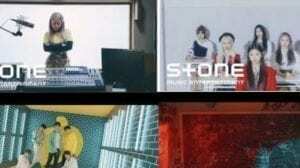 – His representative flower is Poppy (Questoning Film). – At the end of his Questioning Film, the morse code translates to “Hope”. – Family: Dad, mom, 2 older brothers. – Hobbies: Playing guitar (Debut showcase). – His nicknames are ‘Bamgyu’ and ‘Cookie’ (Debut showcase). – Beomgyu has the Daegu Satoori accent (Debut showcase). – He can play the guitar (Debut showcase). – He hates the texture of octopuses and gets grossed out and showed this when they played the guess what’s in the box game (Debut Showcase). – Kai confirmed that Beomgyu is the center and a visual at a fansign. – Beomgyu calls himself a Tiger because ‘Beom’ means ‘Tiger’. – Beomgyu’s nickname is ‘BAMgyu. He uses the chestnut emoji which in Korean is called ‘Bamnamu’. – According to the students at Hanlim, Beomgyu and Taehyun never revealed the fact they were debuting soon and found out through TXT’s teaser. – Beomgyu said his heart beats really fast whenever he runs into a BTS member at the company. – He is shy and quiet to people at first but when he warms up, he can’t stop talking (Debut showcase). 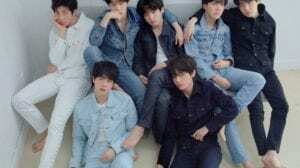 – He is an ARMY (BTS fan). – His favorite season is spring (Fansign 140319). – Beomgyu likes steamed chestnuts over roasted ones (Fansign 140319). – Beomgyu would like to go to Cebu, Phillipines if he ever had an overseas holiday with his members (Fansign 140319). – The current song Beomgyu has been listening to a lot nowadays is ‘Beautiful’ by Bazzi. – He is a student and Hanlim Multi-Arts School. – Beomgyu revealed he doesn’t sleep much these days due to overthinking and tiredness but the fans give him courage and strength. – Beomgyu mentioned that Huening Kai and himself are practicing songwriting (Community Site). – He has been a trainee for BigHit for 3 years. – He can play the electric guitar. – His favorite fruit is strawberries. – He had a parrot, it is unknown if he still has it. – Beomgyu recently found a new hobby of taking pictures with polaroids (Community Site). – A classmate of Beomgyu said that it’s quiet in class if he is absent because he is the mood maker of the class. – According to one of Beomgyu’s friends, Beomgyu is energetic till the point that the whole school tried to be friends with him. He’s also very charming. 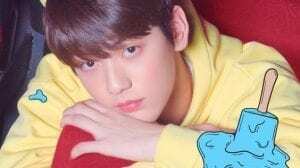 – Beomgyu fell asleep when he dyed his hair for TXT’s debut (Community Site). – Beomgyu said one of the rules in the dorm is tidying up their shoes. – He is good at English. – Beomgyu talks in his sleep to the members. – Beomgyu is friends with Euiwoong and Hyugseob from Produce 101 and they both go to Hanlim. – He went to the same English academy/private institute that BTS’ Yoongi attended. – He is very good at school and had the best marks among his classmates. – His favorite fruit is mango. 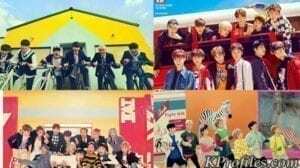 – His favorite animals are bears and parrots (Spotify K-Pop Quiz). – Yeonjun says Beomgyu’s charming point is his profile and his sharp jawline (TALK X TODAY Ep.1). 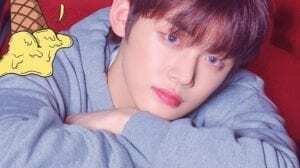 – Yeonjun says Beomgyu has beautiful eyes (TALK X TODAY Ep.1). – Beomgyu has a nickname along with Yeonjun from the members. Beomgyu’s is “Beomttomeok” (meaning he continues to eat again) (TALK X TODAY Ep.3). – Beomgyu likes garlic bread (TALK X TODAY Ep.3). 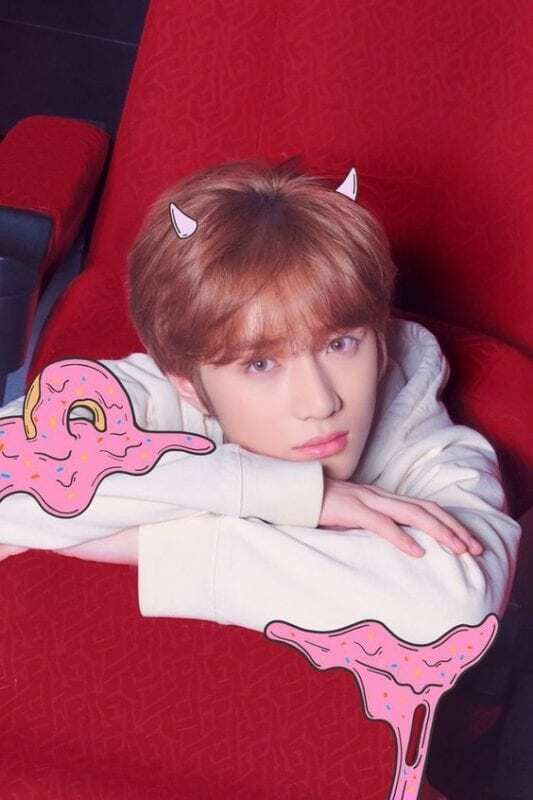 – Beomgyu’s favorite colors are pink and white (Spotify K-Pop Quiz). – Beomgyu and Yeonjun likes clothes (TALK X TODAY Ep.3). – He has a lot of pink clothes (TALK X TODAY Ep.3). – Beomgyu has his own studio (TALK X TODAY Ep.3). – Beomgyu’s first time abroad was in Manila, Philippines when he was around 10 (TALK X TODAY Ep.3). – He always burns a candle in his studio (TALK X TODAY Ep.3). – He learned guitar from YouTube (TALK X TODAY Ep.3). – Beomgyu used to stay up all night writing songs for his members (TALK X TODAY Ep.3). – Beomgyu and Taehyun are in the same school year even though Beomgyu is a year older. The reason for this is because Beomgyu started school late due to debut preperations (TALK X TODAY Ep.4). – Beomgyu is good at claw games (TALK X TODAY Ep.4). – Beomgyu wants to hear words like “Thank you for debuting” (Fansign 150319). – He wants to be calld ‘Kkyu’ by noona’s because it shows cuteness and it sounds similar to the second syllable of his name (Gyu) (Fansign 150319). – His favorite movie is ‘August Rush’ (Fansign 150319). – He likes all colors (Fansisn 150319). – He doesn’t eat tomatoes (Fansign 150319). – Beomgyu also sees himself as a puppy (Fansign 150319). – When asked if could take one member to outer space who would he take, he responded “If all my members can’t go, then I won’t go” (Fansign 150319). – Beomgyu has Taehyun named as “BigHit’s Lovable Member” on his phone (After School Club). – Beomgyu, Taehyun and Kai have the top bunks (After School Club). – Beomgyu and Taehyun are the early birds (After School Club). – Soobin thinks Beomgyu has the most aegyo (TXT, ㅋㅋ DANCE ( KK DANCE)). – His favorite fruit is Strawberry (Fansign). – If Beomgyu was a girl, he wouldn’t date any of his members. How much do you like Beomgyu? Really? Where did you know the info? Beomgyu is friends with Stray Kids’ Jeongin.